In exactly one year from today, the long-awaited (by some) sequel to Blade Runner will finally premiere. To commemorate the occasion Warner Bros. has announced the official title and released the this first behind the scenes photo... neither of which are actually that exciting. The title is Blade Runner 2049, which is pretty perfunctory. 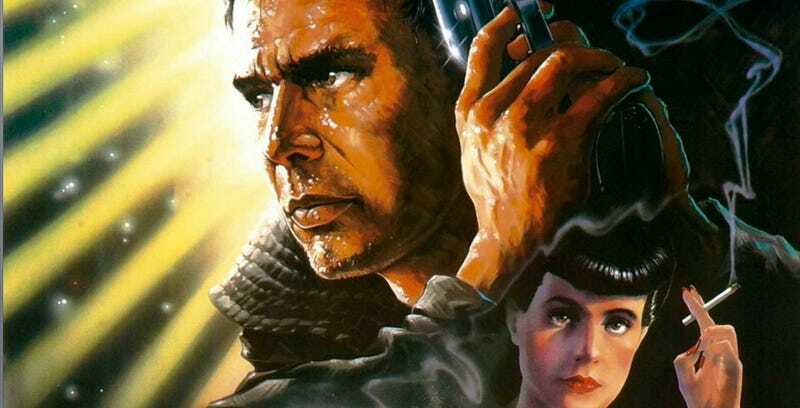 Assuming the title does represent the year in which the film will take place—it would be pretty weird if it didn’t—it’s set 30 years after Rick Deckard ran off with Rachael in the first movie, which took place in 2019. Along with the title comes this photo of stars Harrison Ford and Ryan Gosling talking to director Denis Villeneuve and producer Ridley Scott. The Blade Runner 2049 social channels also launched on Facebook and Twitter along with this preliminary title treatment.